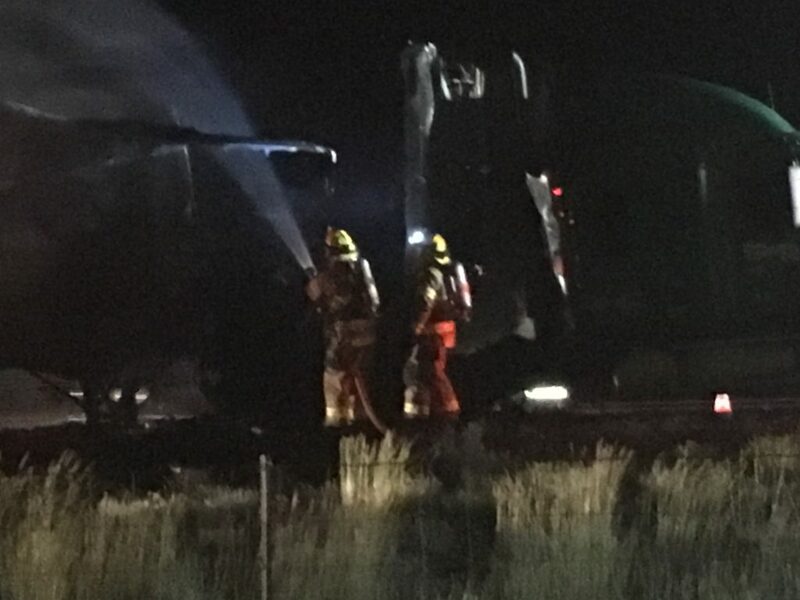 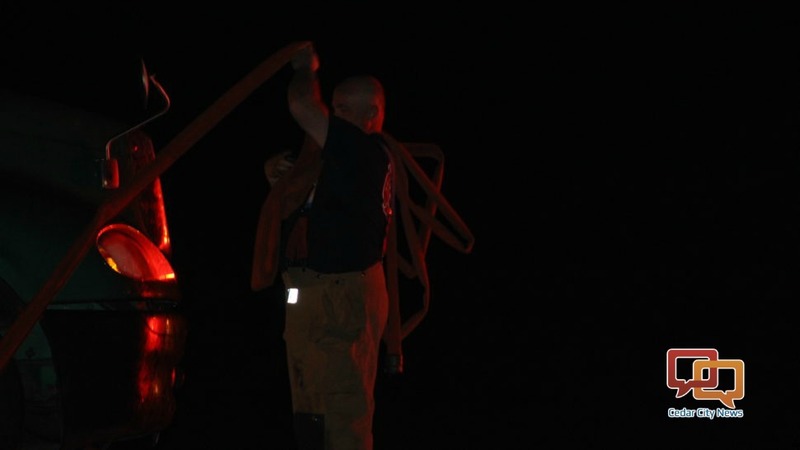 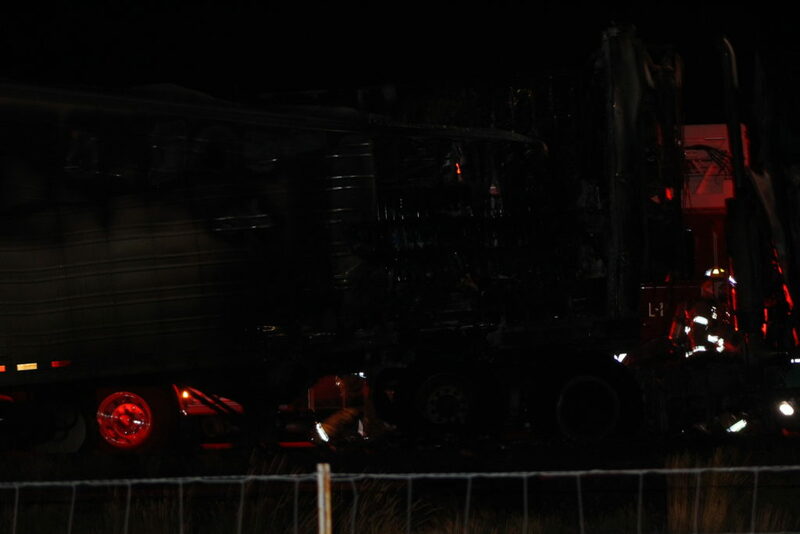 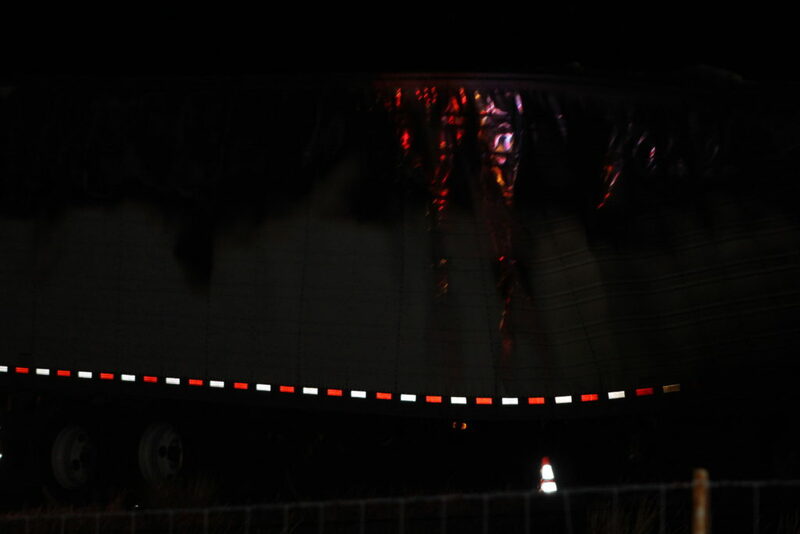 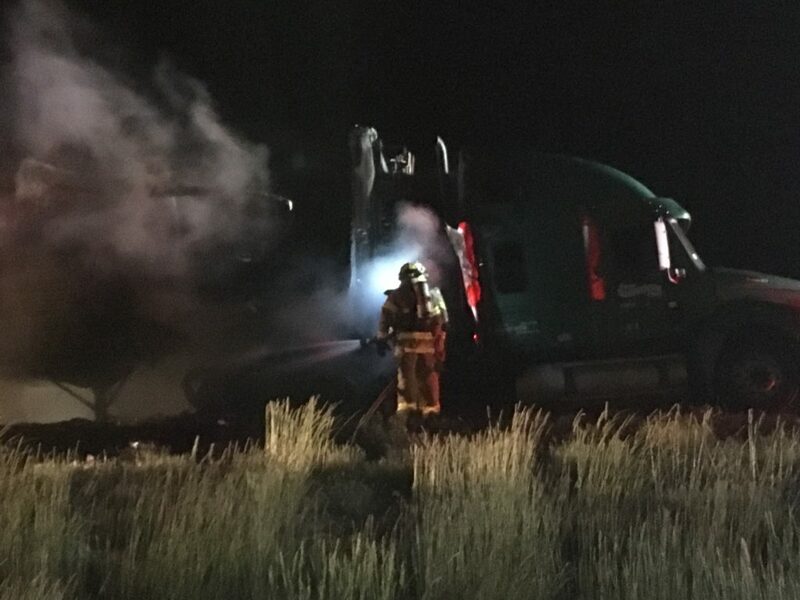 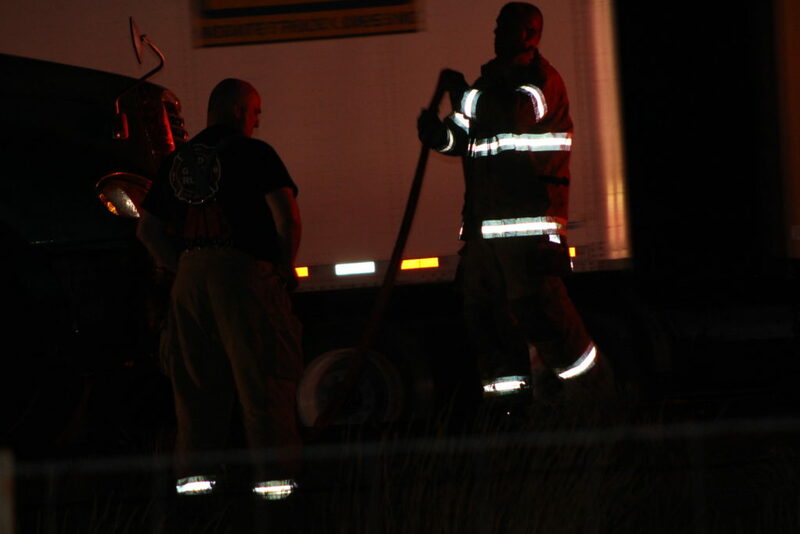 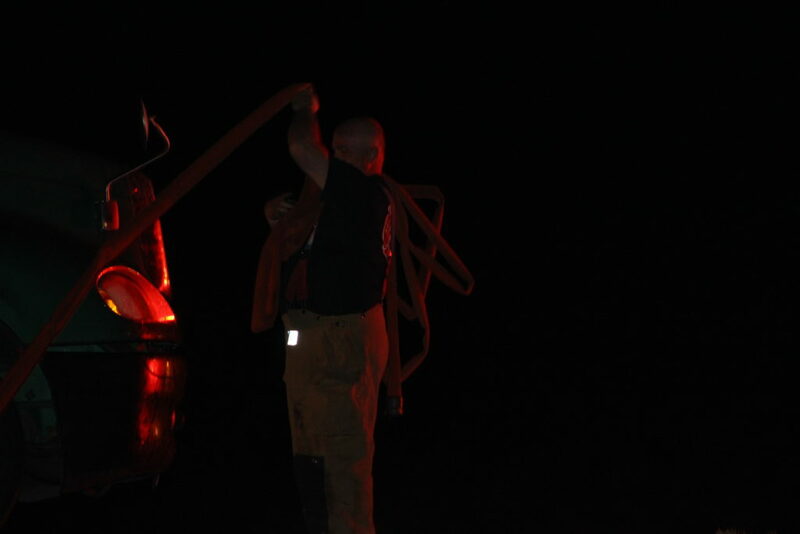 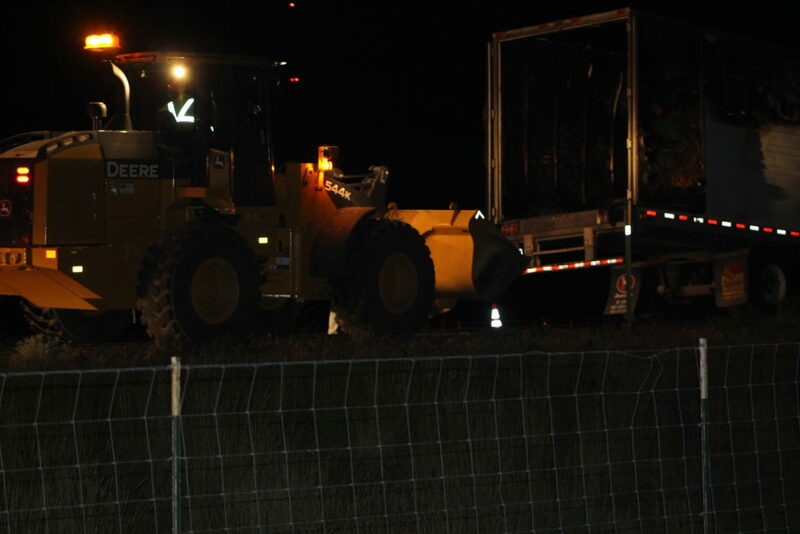 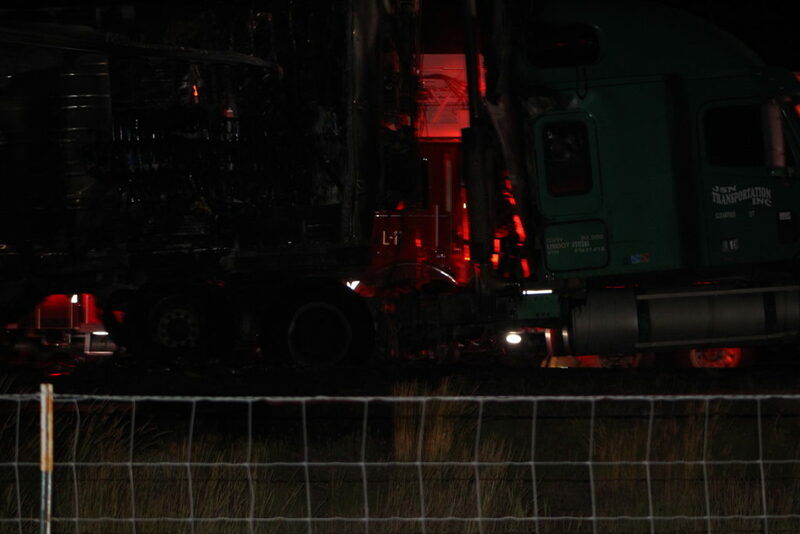 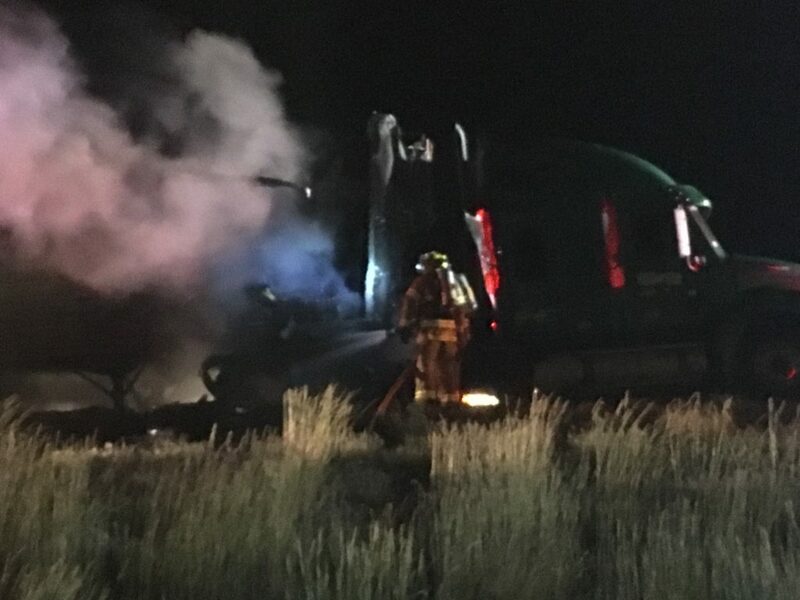 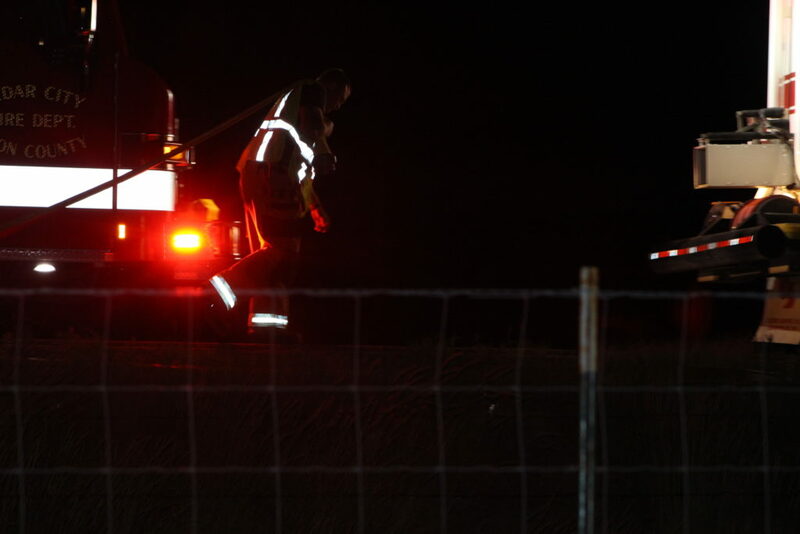 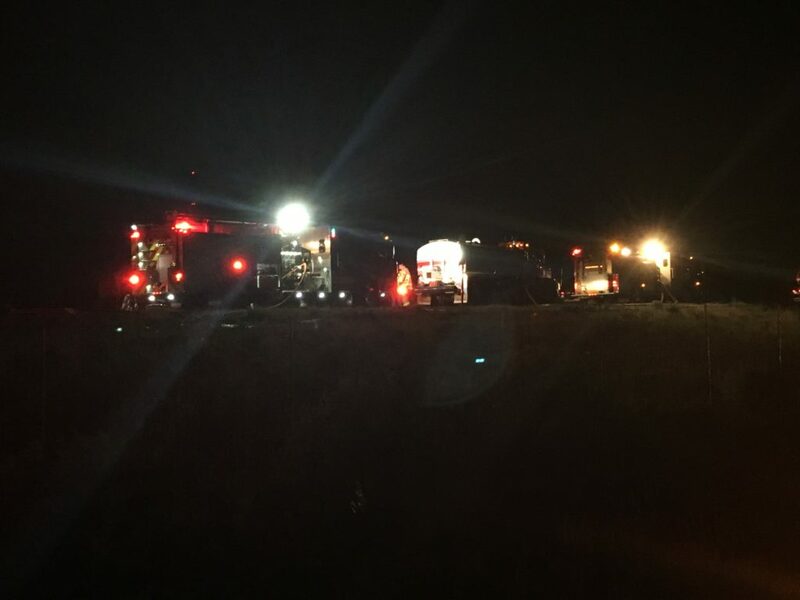 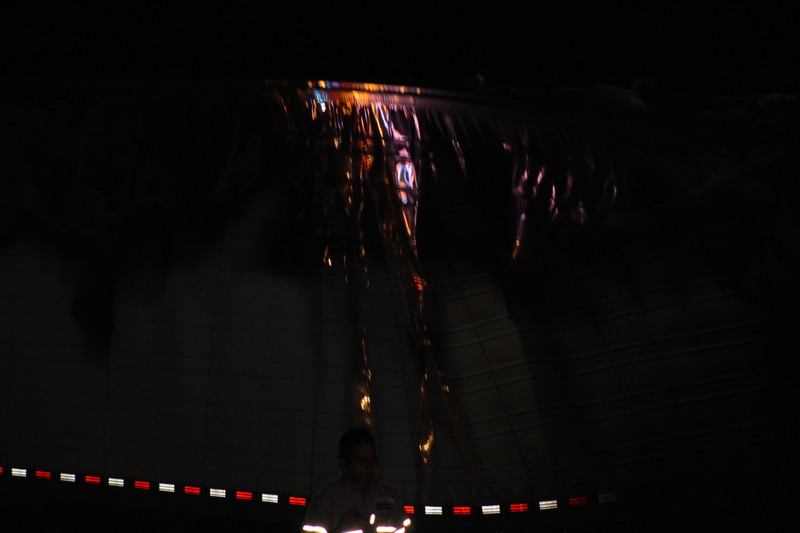 CEDAR CITY – One lane is closed while emergency crews work to clear the aftermath of a semitractor-trailer that went up in flames late Wednesday on Interstate 15. 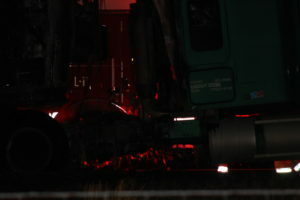 Officials expect the closure to last all night. 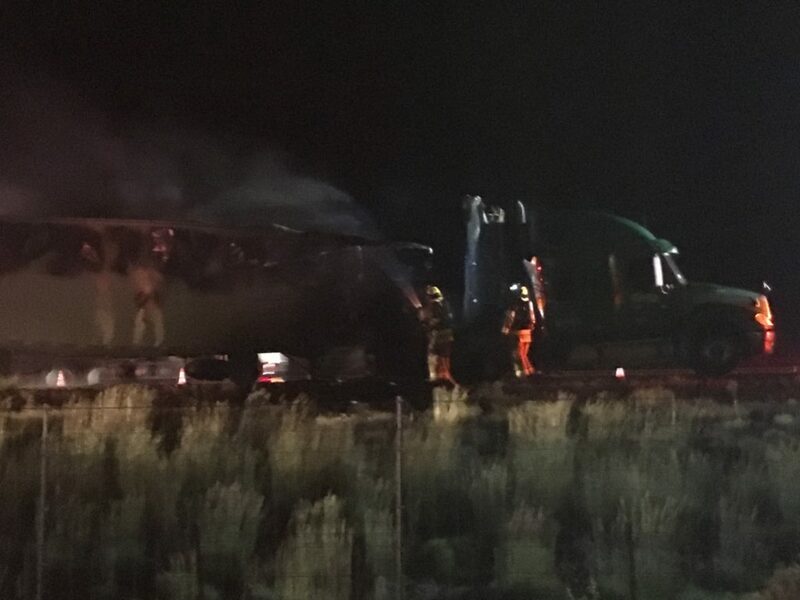 The right lane on the northbound side of I-15 from around milepost 55 to 57 is temporarily closed with traffic directed to the left lane. 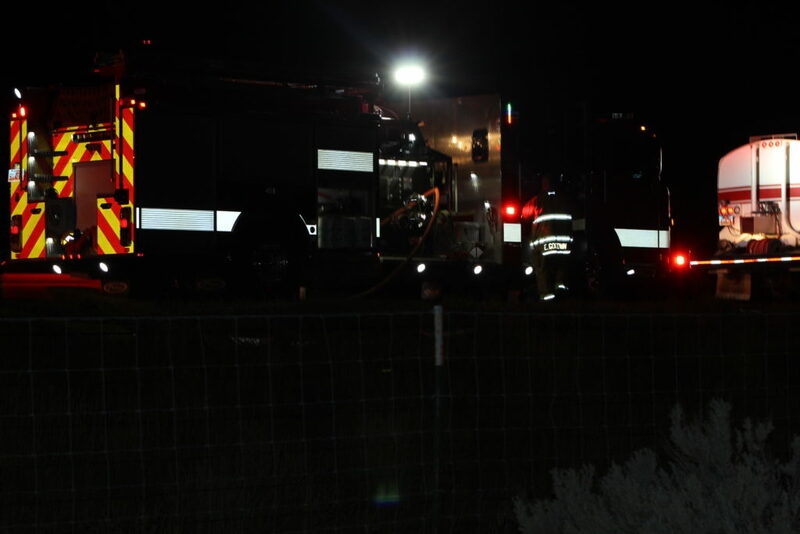 The interstate was shut down completely for a short time to give fire crews an opportunity to put out the fire but within 30 minutes authorities had traffic flowing again in the one lane. 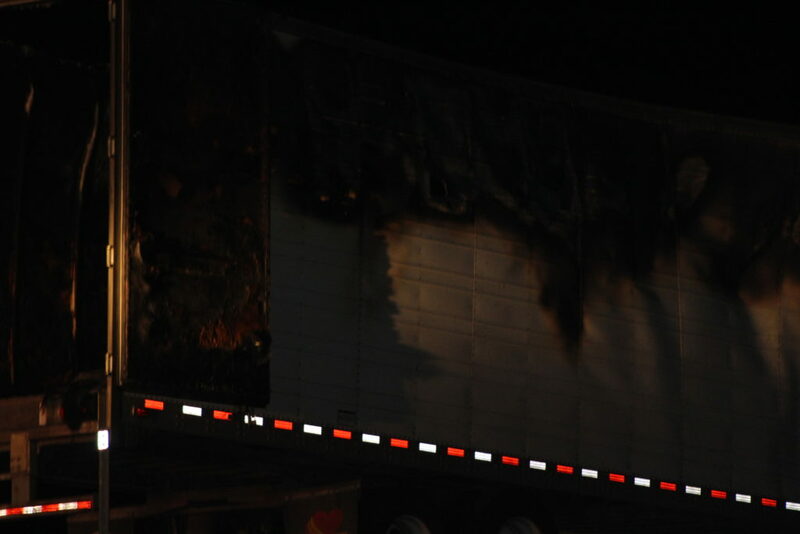 Authorities are asking motorists to slow down while crews continue cleanup efforts. 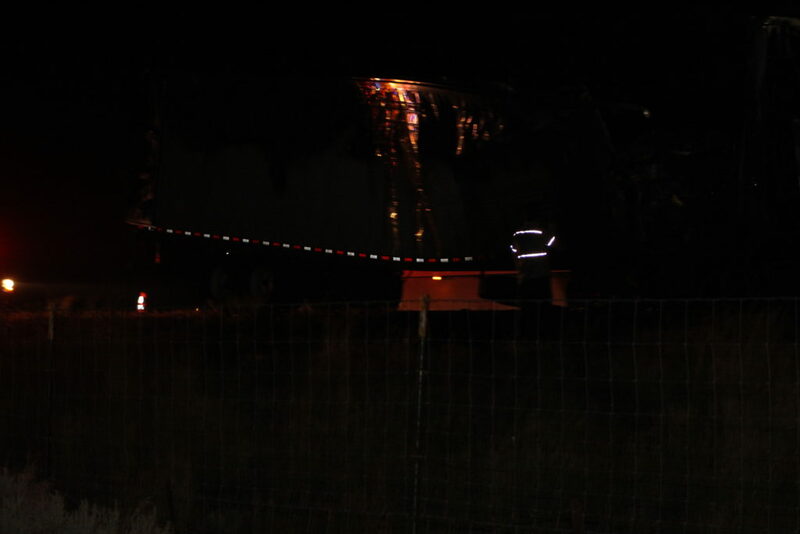 A significant amount of traffic is on the road right now with a big holiday weekend around the corner. 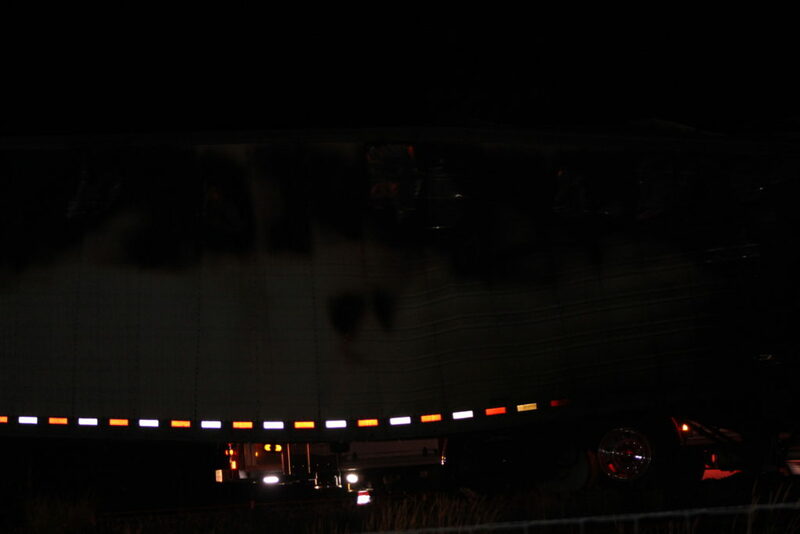 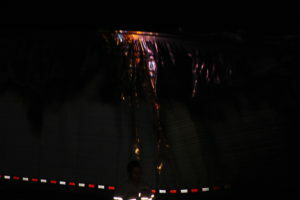 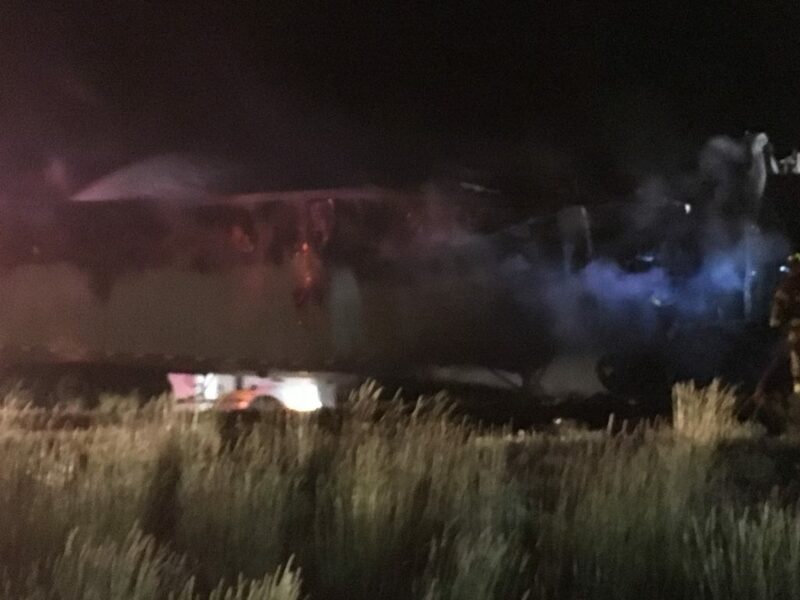 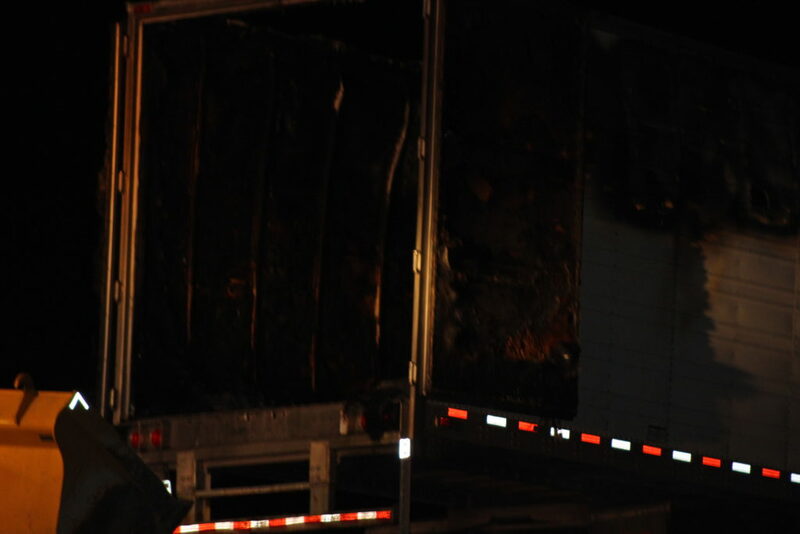 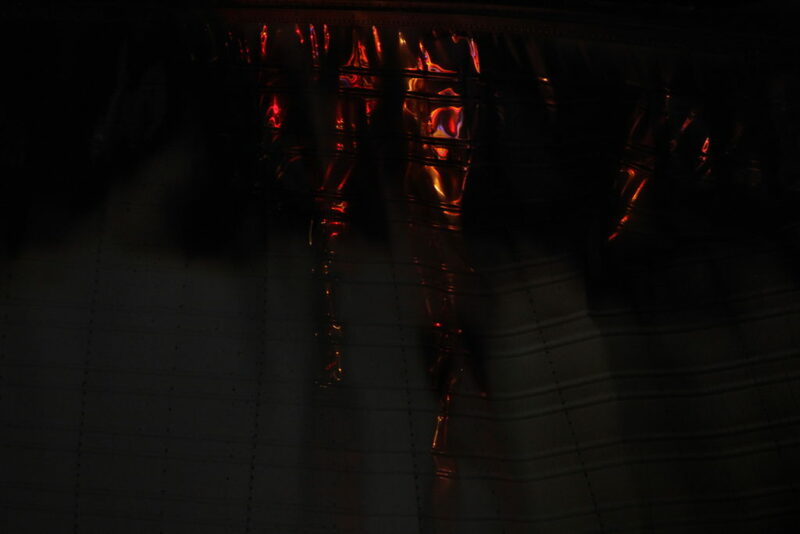 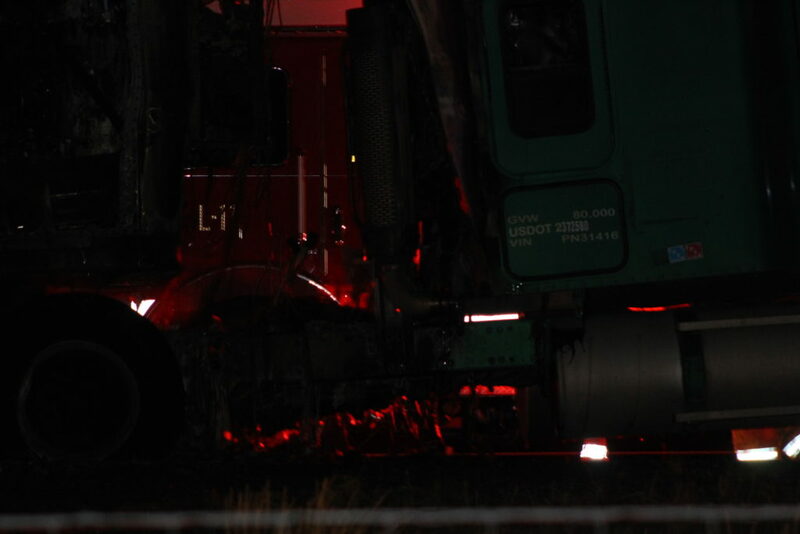 The fire started in the rear of the trailer on axle three on the right side, Utah Highway Patrol Trooper Adam Gibbs said. 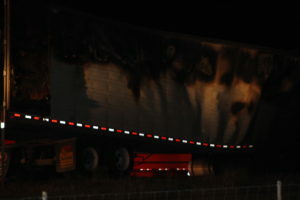 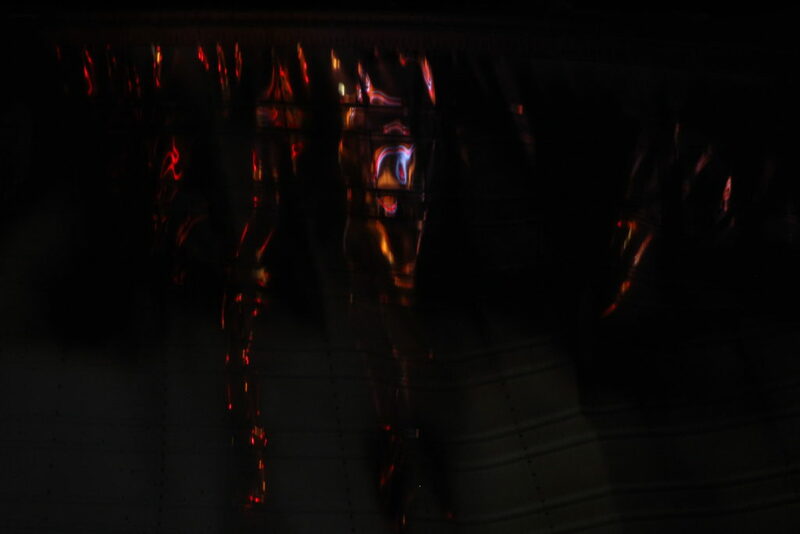 The cause of the fire is still unknown however, Gibbs said authorities believe it was a brake or low tire. 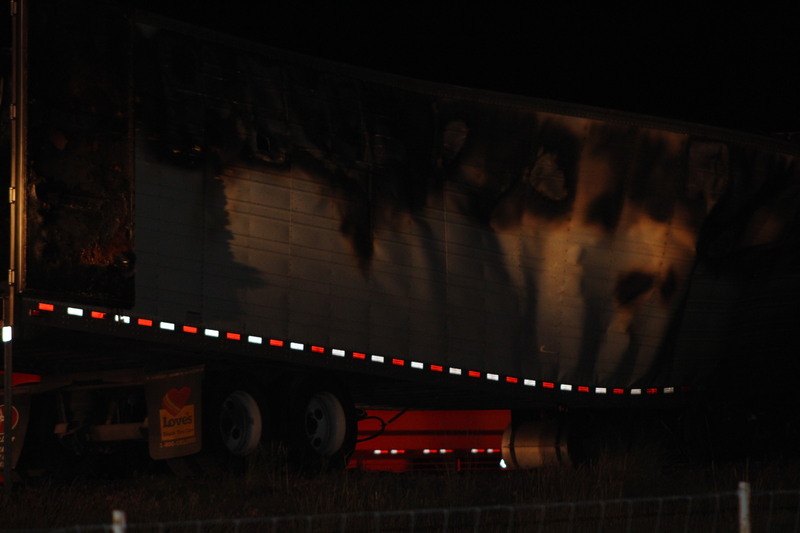 No one was reported injured in the incident. 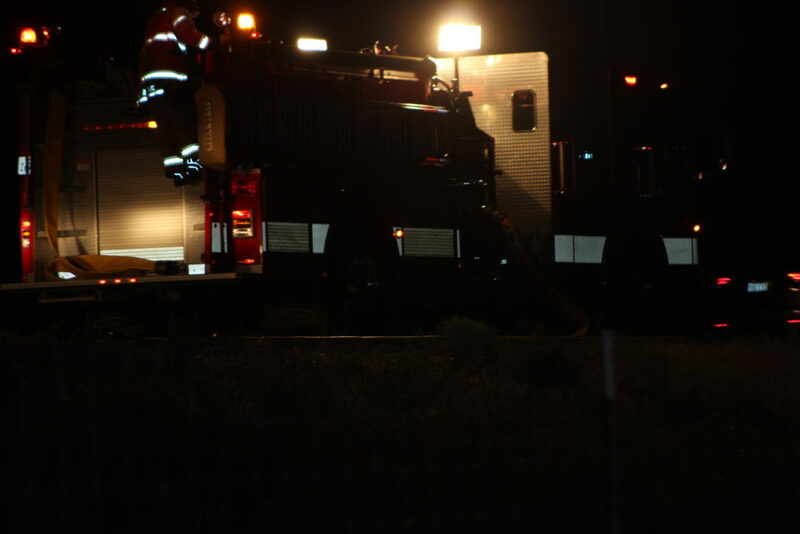 The Utah Department of Transportation is on scene and will be assisting the Utah Highway Patrol and fire crews from the Cedar City Fire Department in making sure the fire is completely out and to help with traffic control. 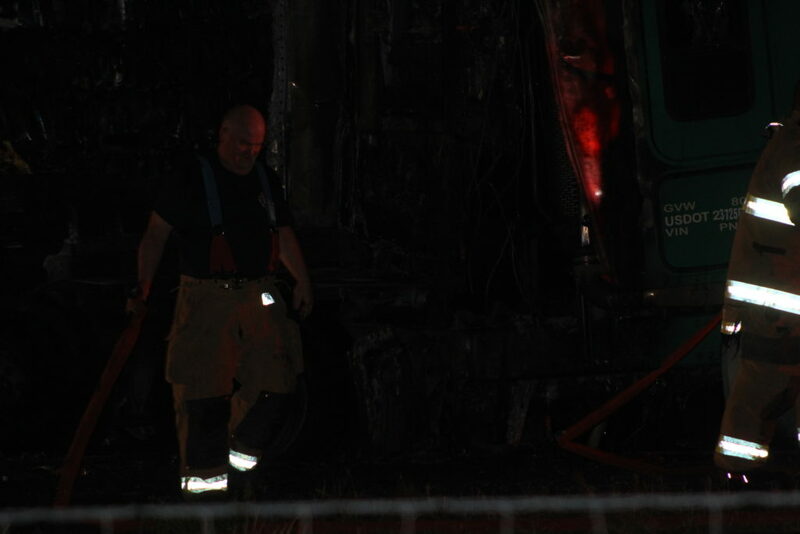 A wrecker company has also been called in to help with cleanup.